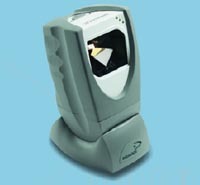 WE STOCK OMNI DIRECTIONAL BARCODE SCANNERS FROM ALL POPULAR MANUFACTURERS. PLEASE CALL 01257 452237 FOR ANY WE DO NOT SPECIFICALLY LIST. 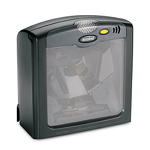 A compact omnidirectional barcode scanner that will fit in the smallest of areas, but protected with a rubber casing. A podium type stand is optional. 2 YEAR warranty, 800 lines per second and typical 8 inch scan range. 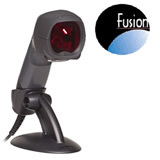 With a unique rotating scan head and small enough to pick up and use in the hand, the Orbit is one of the most popular omni-directional barcode scanners. 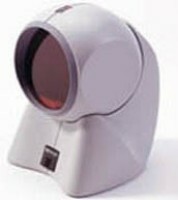 2 year warranty, 1200 lines per second and typical 8 inch scan range. 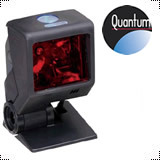 A new high performance swivel headed omni-directional scanner that has superceded the industry standard LS9100. Now even lighter, more compact, better performance and higher spec. 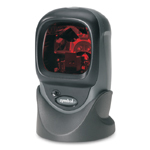 One of the new generation of Metrologic Omni-directional barcode scanners with a super fast and highly sensitive scan pattern combined with a ultra small footprint for maximum space saving. 3 year warranty.